We’ve all been wronged or hurt by others at some point in our lives. Sometimes those who hurt us didn’t really mean to, and they apologize. That is a wonderful thing. But, in especially traumatic circumstances, often the person is never confronted with the truth of their actions, or if it is brought to light, they deny that it even happened. That’s when we have to decide if we are going to forgive them anyway. Not for their sake, but for our own. 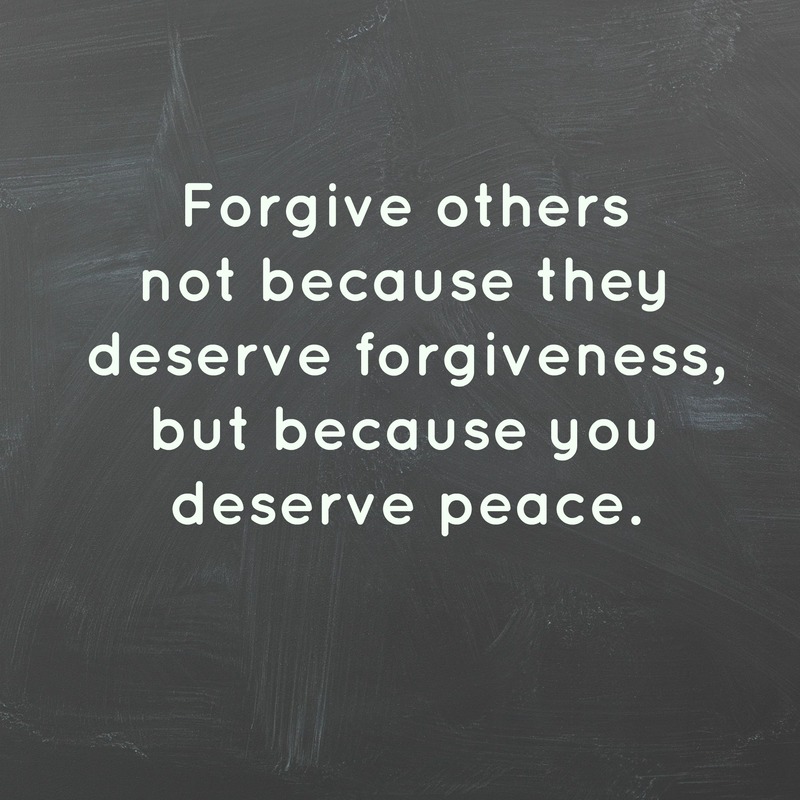 Part of the problem with forgiving others comes with the interpretation of what forgiveness really means. Wikipedia defines it as follows: Forgiveness is the intentional and voluntary process by which a victim undergoes a change in feelings and attitude regarding an offense, lets go of negative emotions such as vengefulness, with an increased ability to wish the offender well. 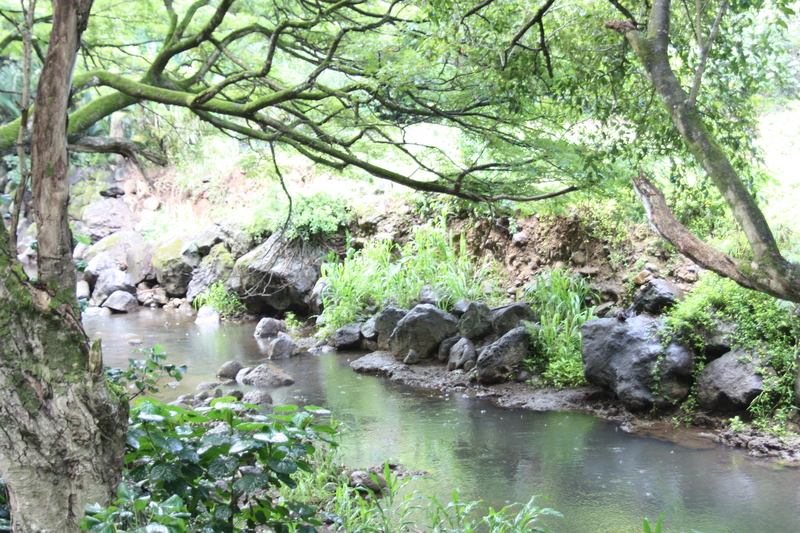 Forgiveness is different from condoning (failing to see the action as wrong and in need of forgiveness), excusing (not holding the offender as responsible for the action), pardoning (granted by a representative of society, such as a judge), forgetting (removing awareness of the offense from consciousness), and reconciliation (restoration of a relationship). After writing about her own personal traumas while growing up, and exposing some of the heart-wrenching situations she experienced with both of her parents, Bonnie Gray, author of Finding Spiritual Whitespace has been asked in several interviews: Have you forgiven those who hurt you? 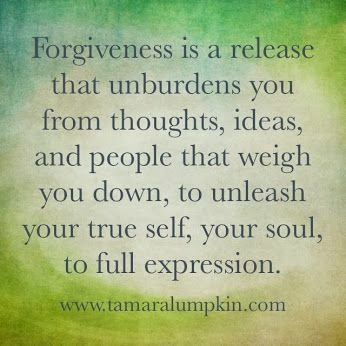 How has forgiveness played a role in your story. 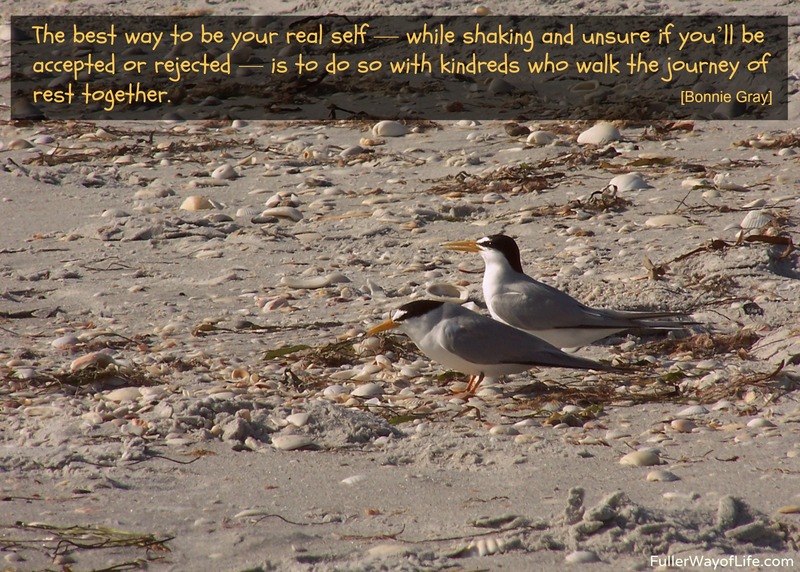 Forgiveness does not mean trust is freely granted or automatically restored. Forgiveness does not mean you don’t have boundaries, if their actions are unhealthy or cause you emotional, spiritual, [or] physical harm. Forgiveness does not mean giving someone who has hurt you license to hurt you again. Forgiveness does not mean we don’t talk about it. Forgiveness does not mean we hide our stories. And pretend it didn’t happen. We’re all broken in some way. We all have wounds. So, we still have to take the journey to heal, to grieve, and cry — in order to find what’s beautiful, to awaken our hearts to what’s real. So, we can take better care of ourselves. To feed our souls. And begin to dream again. 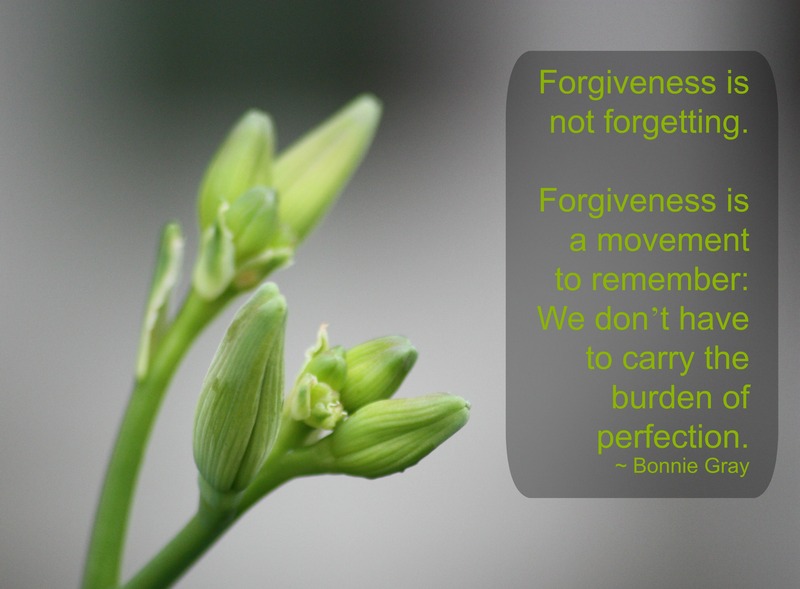 How would forgiveness free up spiritual whitespace — room to rest and nurture your soul? 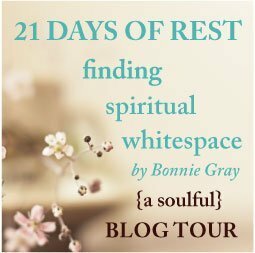 Today, Bonnie Gray used her blog post to write about the first step to soul intimacy (something deep that happens when we take time to feed our souls), and to share a story from one of the readers of her book Finding Spiritual Whitespace. Reading Finding Spiritual Whitespace inspired stay-at-home mom Janine Crum to make time for art and open an online shop of original prints. 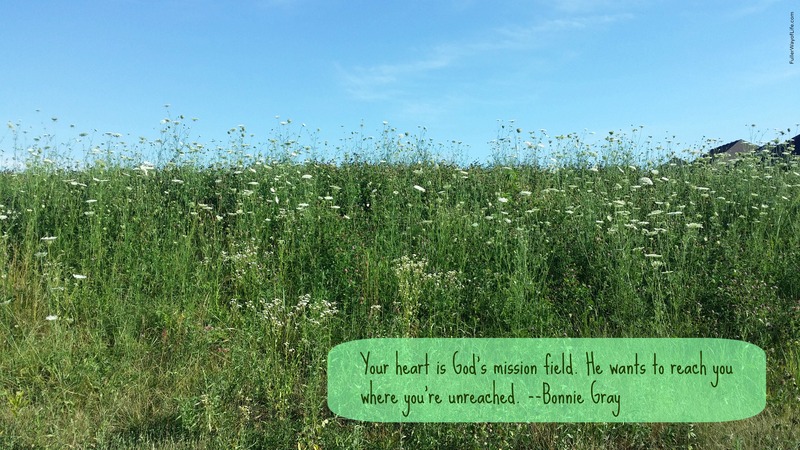 If you follow the link to Bonnie’s post above, you’ll find a free Whitespace Printable art piece (Find Rest for Your Soul) created by Janine that you can download. And you can read her beautiful story about what it meant for her to make room for spiritual whitespace in her life. It’s so amazing to hear about the different ways that Bonnie’s words have touched others and reawakened their heart’s desire. When we make room for spiritual whitespace, we step into the beautiful journey of letting go to discover what’s really worth holding onto. 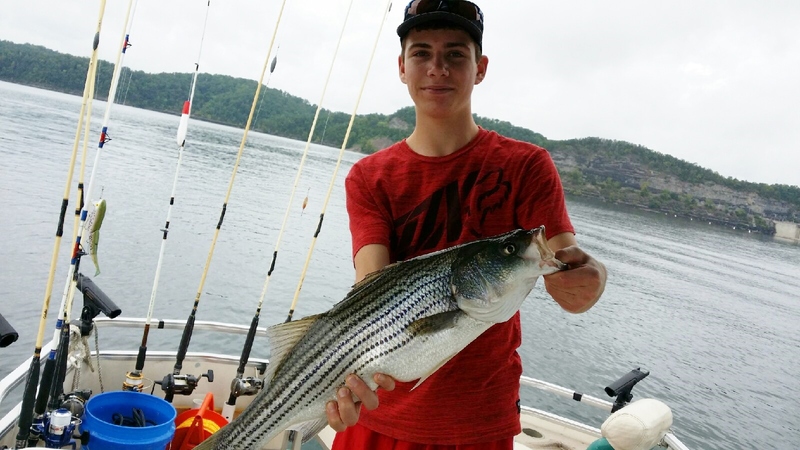 One of the fish my stepson, Noah, caught while out with his Dad this summer. These words remind me about the importance of letting go of stuff and holding onto people, relationships, nature, and activities that bring us joy. I really relate to a lot of her ideas for simplifying. In fact, I created this simple graphic from information she shared in one of her newsletters. Feel like you’re running in a million different directions? Most of the time, I think Americans run their life from 3 feet above their head. We don’t take time to sit and be here. In the moment, in this room, on this chair. It’s a rather disjointed life. Rachel is describing the life of someone who has not figured out the importance of spiritual whitespace or the need for rest, whether physical or mental. On a related note, too much stuff really does cause stress. And more stuff does not lead to contentment as many seem to believe. 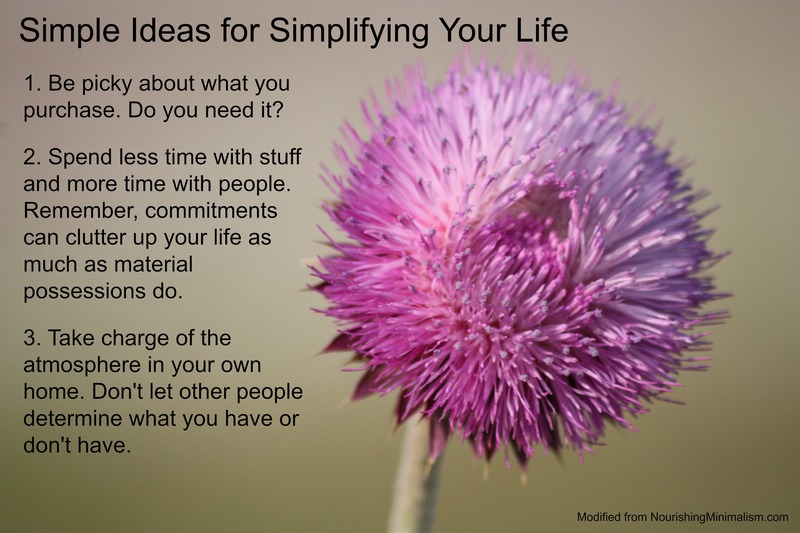 You can read more from Rachel on simplifying here. Even Pope Francis (in an interview published in part in the Argentine weekly “Viva” July 27 ) listed leisure time, or rest, as one of his Top 10 tips for bringing greater joy to one’s life. Another had to do with connecting or building relationships. “A healthy sense of leisure.” The pleasures of art, literature and playing together with children have been lost, he said. “Consumerism has brought us anxiety” and stress, causing people to lose a “healthy culture of leisure.” Their time is “swallowed up” so people can’t share it with anyone. Jesus didn’t climb ladders … He built bridges. Instead of reaching up for success He reached out in love. Having a Bad Day? You Are Not Alone. Despite our best efforts to keep our lives on a steady track, like a carousel, life is typically more like a roller coaster. We have our ups—things are great, life is good, we’re on top of the world. And then we have our downs—those trying times when it seems that everything that can go wrong does. Personally, I am only on a small slope right now as I experience a little uncertainty about my income in the upcoming months and continue to deal with the on-again/off-again issues of carpal tunnel and fibromyalgia. However, among my family and friends, there are several people experiencing more traumatic issues like the loss of a loved one, the loss of a job, multiple surgeries, major medication and rehabilitation, long-distance moves, and various other shake-ups. Today, whether you are experiencing a steady decline or you feel like you are descending at a rapid rate, remember: looking back does not change the course; every down is followed by an up; and finally, whatever you are going through, you are not alone. “It’s … easy, this time of year, to look around a farm and get discouraged. Weeds are ravenous, pests are ravenous, farm stand customers are ravenous. (And our egg supply isn’t keeping up with demand.). The pretty green frilly stuff of spring has fled, replaced by dying pea vines and bolted lettuce and plants ravaged by potato beetles. She goes on to comment on the cheerful sunflowers and zinnias, the bountiful tomato harvest, and the fresh black raspberries now ripe for making homemade berry ice cream. “Whenever something bad happens to me, my first reaction is to think that I don’t belong in my situation. Surely, there’s been some kind of mistake. Regardless of what I want to believe about my situation, I am in it for one of only two reasons: Either God has willed it, or He has allowed it. God is not selectively perfect. He is not selectively knowing. He is not selectively loving. 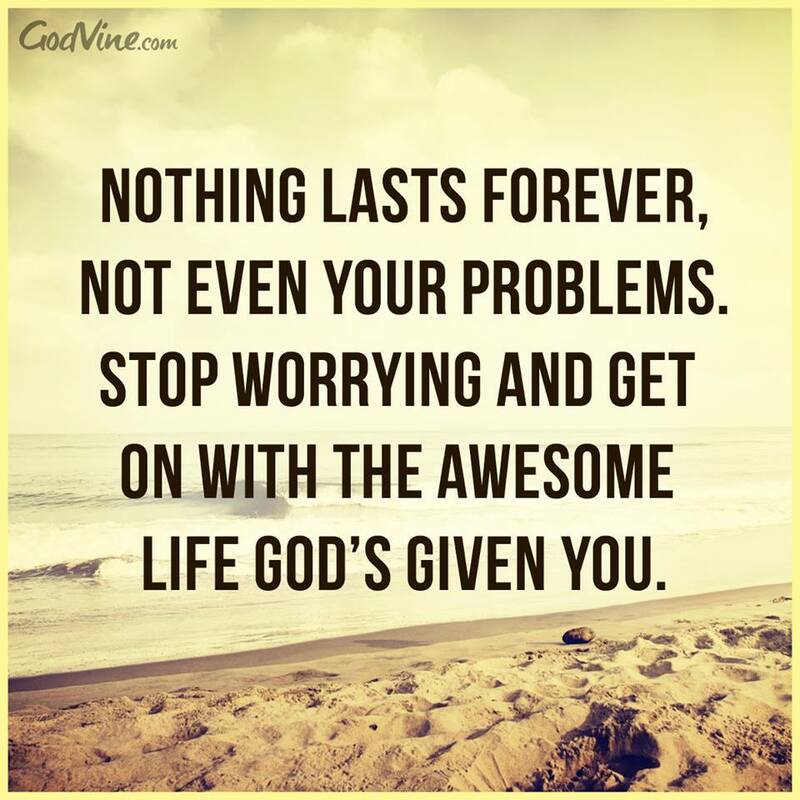 God is these things all the time. In yesterday’s post, Bonnie Gray (the Faith Barista), invited readers to join her “on the porch” at Ann Voskamp’s blog where she shared one of her most vulnerable chapters – “The Pink Outfit.” As part of the Whitespace Launch team, I took part in helping her choose which chapter to share with Ann’s readers; she gave us the five chapters she was deciding between and we voted on which chapter was most powerful for us personally. This moment won out. If you do not have the book and/or haven’t read about the pink outfit, I encourage you to follow the link to Ann’s blog above to read a story that Bonnie says she kept hidden away for most of her life. It’s about the moment when she first experienced the lonely feeling that comes with hoping for joy only to have it cruelly snatched away. 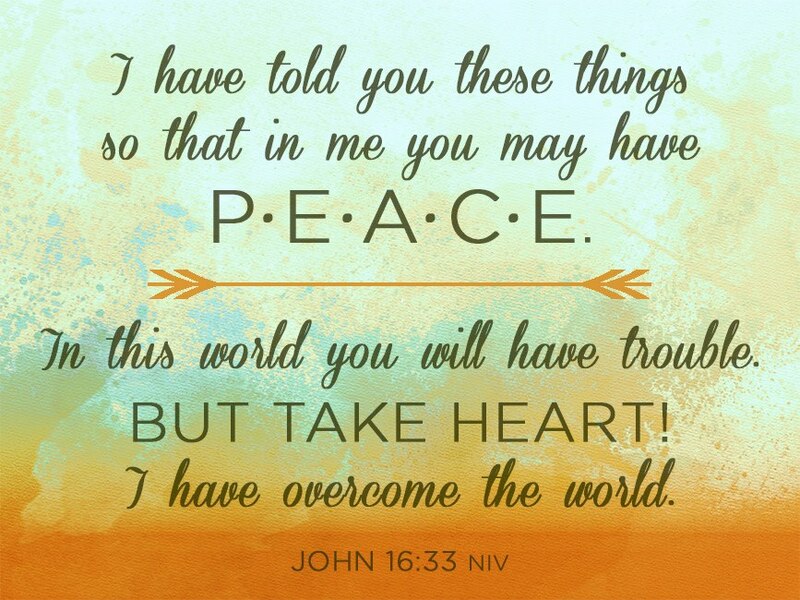 Because Jesus is living your story with you. Because Jesus is your story. 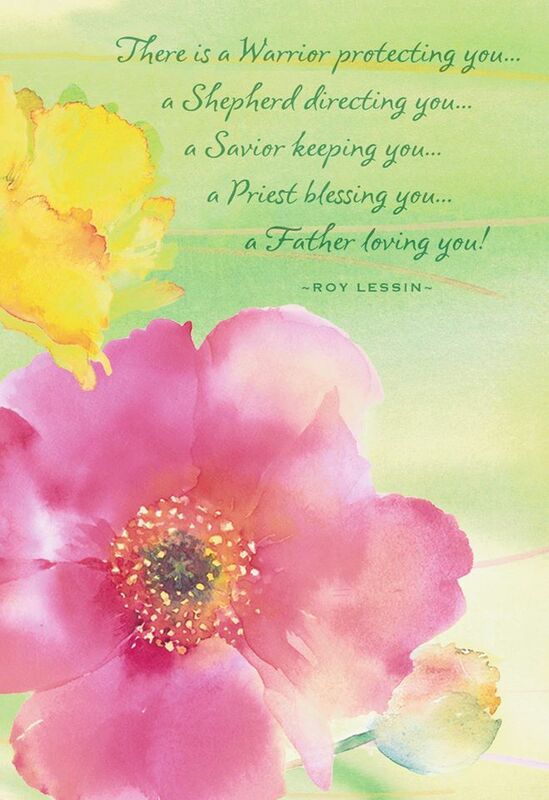 He will always be faithful to carry you through everything and anything. Bonnie guides us to discover a better story for ourselves, one that feeds our soul and makes room for rest. Give yourself permission today to take the journey to rest – whatever that looks like for you personally. 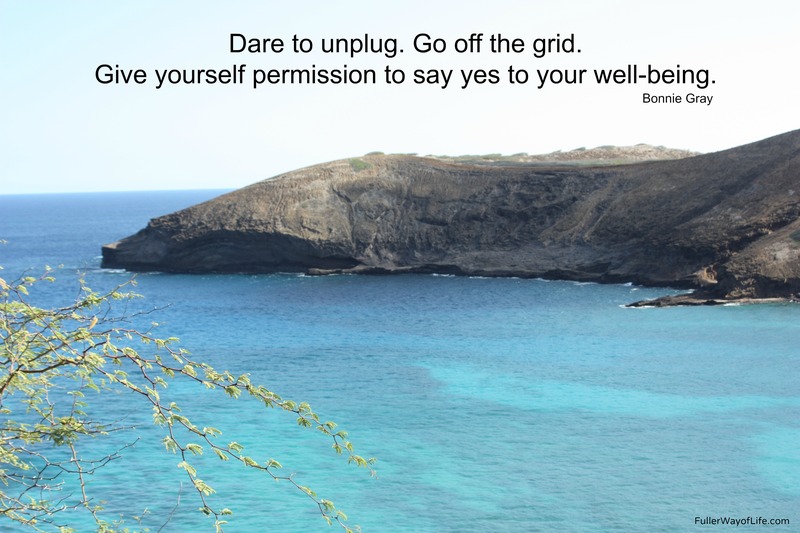 In recognition of Bonnie’s words today: “Dare to Unplug & Go Off the Grid,” I’m keeping today’s post short and sweet. I may not be able to totally unplug yet, but I will step away for a while today. You can read her five suggestions for stepping away here. Yesterday, I got two cortisone shots in my wrist to help relieve some of my carpal tunnel issues (pain and numbness). When I went into the specialist’s office, my pain was at about a 7 (out of 10). In case you haven’t experienced this before, the shots themselves do hurt; the level depends on where the needle is going in. (I feel bad for my father-in-law who has to get his in one of his big toes. Ouch!) Afterwards, my pain level was a 10 for the day. Luckily, I have experienced this before (in my wrist and in one of my shoulders), so I am well aware that the pain increases before it decreases. Meanwhile, that sort of “shot” any plans I had for work on Monday. So, bad that I didn’t get any work done, but good in that I was forced to take a day to rest. 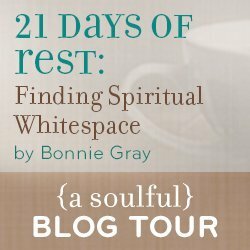 Bonnie Gray, author of Finding Spiritual Whitespace, asks, “How many of us find ourselves running on empty with no time for rest, no time for ourselves, no time for God?” Her post from Monday shares how we all need to try to move beyond simply surviving and find rejuvenating rest. Although I think I really could use a few days at the beach to experience rejuvenating rest, still, it was nice to enjoy a short period of downtime. Today, the pain is easing back down and I didn’t experience any numbness last night. So, all is well. And with the rainy day we’ve got going on, at least it’s a good day to stay inside and get back to work. Follow Bonnie on Instrgram for more on #spiritualwhitespace or follow me on Instagram to see more of the images I like to share. Meanwhile have a blessed and restful day.